At Mi Casita, we believe that children’s natural curiosity motivates their engagement with the world around them. Our teachers partner with students, so that children’s inquiry fuels an interest-driven curriculum. Our activities and lessons engage children because they have a stake in its creation. 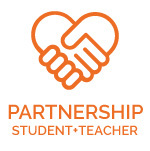 The teacher-student partnership begins in a play-based classroom, where children’s playtime choices lead to challenges and provocations from teachers. These conversations are the building blocks of further discussion and seed instructional planning. For example, a sensory table filled with sand and measuring cups might lead some children to a conversation about cooking and others to imagine finding buried treasure. Teachers listen and observe , using these comments to inspire future projects. In the weeks to come, the class might cook using recipes gathered from students and invite families to taste. Or, a treasure hunt might be planned, using maps and clues. These activities provide opportunities for literacy, math, fine and gross motor skill development.